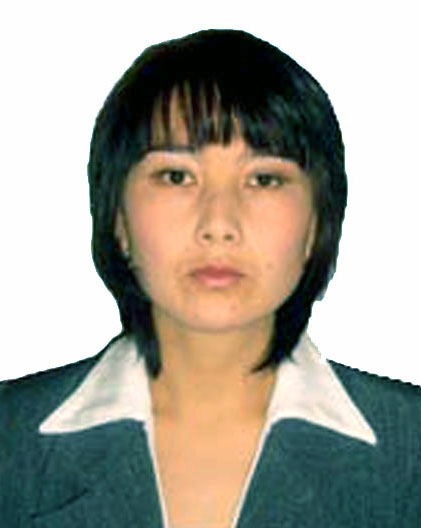 In 2013 she graduated from the magistracy of Karaganda State University named after Buketov in the specialty “Physics”. Theme of master’s thesis: “The effect of oxygen on the excited state of complex organic molecules.” After graduating with honors from the Faculty of Physics of KarSU in 2013, she received the qualification: Master of Physics. Since September 2007, she has been working as a teacher at the Department of Physics at KSTU. The main scientific works are: – “(CDS) N clusters of the құyrlyms menstrual_s spectler_n theories syltytert, Chaos and structures in nonlinear systems. Theory and experiment: Materials of the 8th int. scientific conference dedicated to the 40th anniversary of KarSU. Academician E.A. Buketov (June 18-20, 2012). – Karaganda, 2012; – Features of the optical properties of potassium sulfate with admixture of samarium or gadolinium; Forward from the light on Naukata-2012: Material for VIII international scientific practical conference (17-25 December 2012) .- 38: Physics, Physics culture and sport .- Sofia: “ Byal GRAD-BG “OOD, 2012. Publishing: Magazine Academy of Pedagogical Sciences of Kazakhstan, 2013; Complex Eura-sian Physical Technical Journal.-2012; – Ottegy zhane anthracene, benzene molecular ryn electron ryn rylysyn quanta chemistry chemicals қғғданққ, a collection of scientific papers of students and undergraduates “States and prospects of development of the system of continuous education.” KarSU them. E.A. Buketova. – Karaganda, 2013; – Theoretical study of the structural and spectroscopic properties of anthracene dimers. Proceedings of higher educational institutions. Physi 2014 Educational electronic manuals were published in the Kazakh language: “Physics 1”, “Physics 2”, “Optics”, “Mechanics of Elements”, “Molecules Physics and Thermodynamics”. 2014.